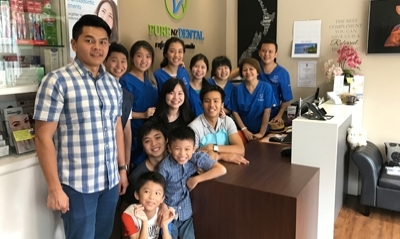 Book an appointment now with our caring and experienced kids dentists! Fear is the number one reason adults don’t seek regular dental care. This usually leads to untreated problems that ultimately become more painful and expensive to deal with in the end. Can you imagine the amount of fear and anxiety a kid has to go through? Luckily, if children grow up having positive dental experiences, they will continue to seek preventive dental care as adults without fear. 1. 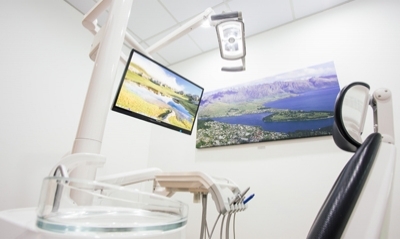 When should you start bringing your child for a dental check-up? 4. Are children too young to get tartar or calculus build-up? 2. 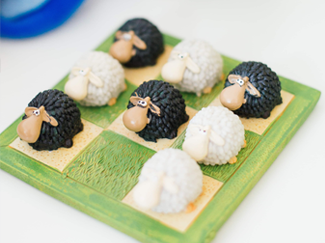 What will happen during my child’s 1st dental visit? 3. 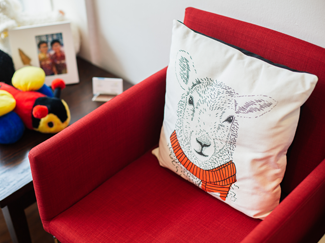 What if my child refuses to co-operate? 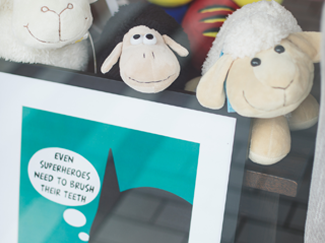 Usually we would recommend bringing your child to see the dentist anytime from 18 months old onwards. By doing so, you are allowing your child to get use to the dentist attending to him/her and they will then be more accepting to dental treatments in the future. Your child will develop a healthy respect instead of fear of seeing the dentist. We found that most kids who start seeing dentists at an older age due to dental problems, tend to be scared or apprehensive during the appointment as they are not use to the dental environment or having a dentist looking into their mouth. 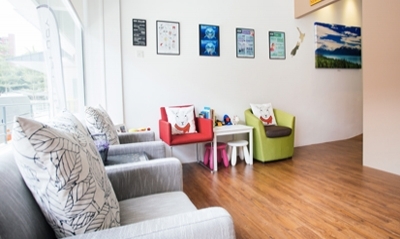 On your child’s 1st dental visit, our dentist will go through every step of the examination with your child. From showing the instruments they would use, to explaining what will be done. This would allow your child to feel at ease and by doing so, our dentist is building your child’s trust and confidence in them. 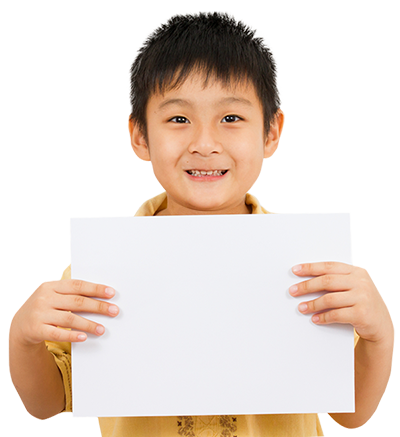 During the examination, our dentist will inform parents what are the issues they have diagnosed. If further treatment is required, our dentist will proceed with the procedures according to how receptive your child is. Most of the time, our dentist may not do the treatments on the first visit as this may be quite overwhelming for some kids. 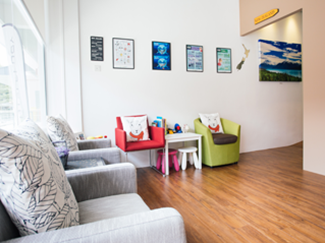 Our dentist prefers to let the child familiarise themselves with the environment and to let him/her warm up to the dentist. 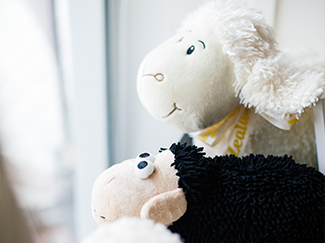 P.S: We love playing cartoons to entertain children while they are having their check-up done so that they would feel relaxed and comfortable just like being at home. 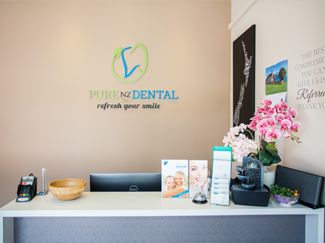 At Pure NZ Dental, we are against restraining the child to allow dental treatments to be done as this would traumatize and instill fear in their future dental visits. Depending on the treatment required and the child’s ability to co-operate, we do offer optional procedure like General Anesthetic. 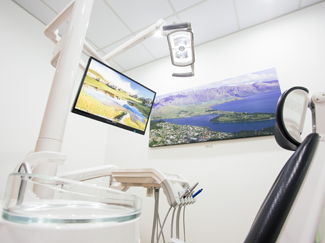 This would allow our dentist to complete all the necessary treatment while your child is under General Anesthetic thus removing the anxiety and fear from your child altogether. No. This can happen to anyone, even kids. Plaque forms when we eat and drink and by allowing it to stay on teeth for a long period of time, it will calcified, turning into tartar and calculus build-up. 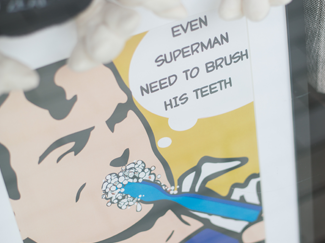 Hence, it is important to bring your kids for a regular 6 monthly dental check-up. We have several parking lots in front of our clinic. Alternatively you can park at HDB car parks in Toh Yi Garden, along Lorong Kilat or the open car park along Jalan Seh Chuan. 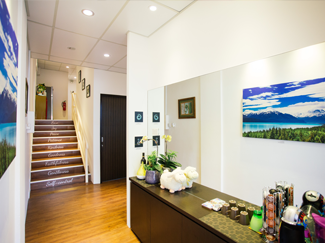 3-min walk from Beauty World (Downtown Line) Take Exit C, walk past Esso gas station, cross the traffic light. Our clinic is just between a hardware shop and a music academy. 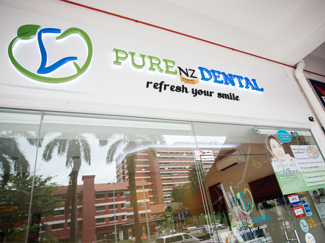 Copyright 2019 Pure NZ Dental Pte Ltd. | All Rights Reserved.